Three illegal aliens have been arrested for the murder of a whistleblower who exposed a massive immigration scam in the United States. The three men were indicted for killing 41-year-old Eliud Montoya, whose body was found by local police officers after he was shot to death outside his Georgia home on August 19, 2017. According to a statement by the Justice Department, Montoya was working with U.S. authorities to build a case against his employers and their illegal immigration scam. Wtoc.com reports: Prosecutors say Montoya, a naturalized citizen, turned in his bosses for profiting off undocumented workers and running a scheme to hire them. The indictment accuses the men of going to any means necessary to silence Montoya, even to the point of killing him. The U.S. attorney says Montoya was killed for doing the right thing. Eliud Montoya was a naturalized U.S. citizen who worked for a Savannah-area tree service known as Wolfe Tree. “Eliud Montoya followed the rules, worked hard, and raised a family. When he saw what he believed was illegal activity, he went to the proper authorities and reported it,” said U.S. Attorney, Bobby L. Christine. Two days before his death, Montoya filed a formal complaint with the federal Equal Employment Opportunity Commission saying that the tree service supervisor, Pablo Rangel-Rubio, ran a scheme to employ what he called “illegal aliens” at the company. Prosecutors say Pablo was profiting from the company while also skimming pay from the undocumented workers. At the news conference Thursday, the Garden City police chief explained how agencies working together helped with this case. 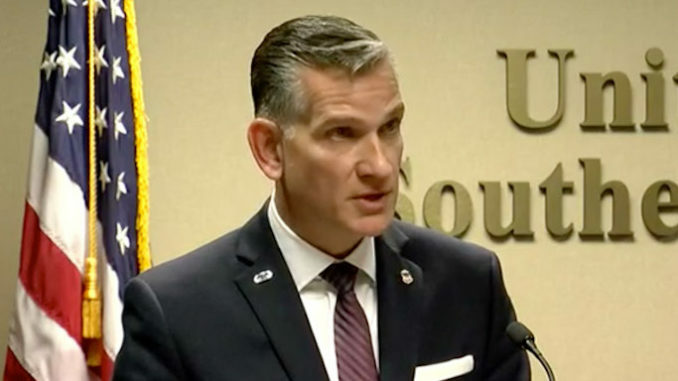 “This is a prime example of the excellent working relationship that we are committed to, and we have with not only all local agencies within this region, but state agencies and federal agencies, and for that we thank you for your assistance and we look forward to the day justice is severed within the courts,” said Chief Gilbert Ballard, Garden City PD. The two Rubio brothers are faceing several charges including conspiracy to kill a witness and money laundering conspiracy. Next Next post: Bill Gates: “Millions Will Die” Because Of Global Warming ROTFL!!! !